My Grandma June was a huge supporter of animals. 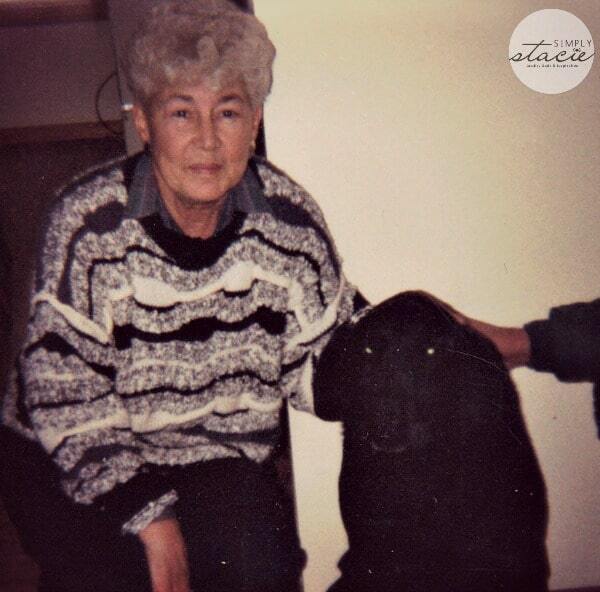 She lived on a fixed income, but always made sure to allocate money every year to the her local SPCA. She loved animals and always had dogs for as long as I can remember. 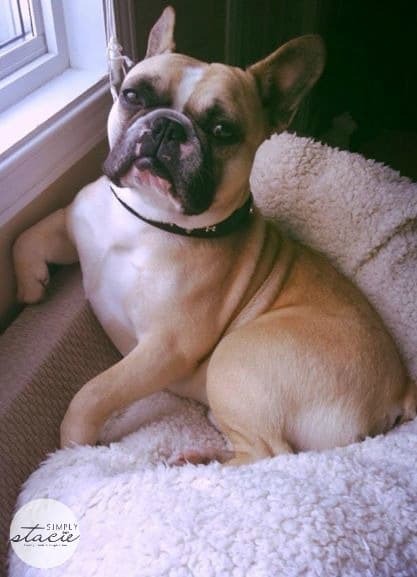 Supporting the SPCA and Humane Society is a cause important to me as well and every time I donate money, I always think of Grandma June as well as our family pets, both past and present. I learned about National Cupcake Day last year and am glad to see it’s back again! 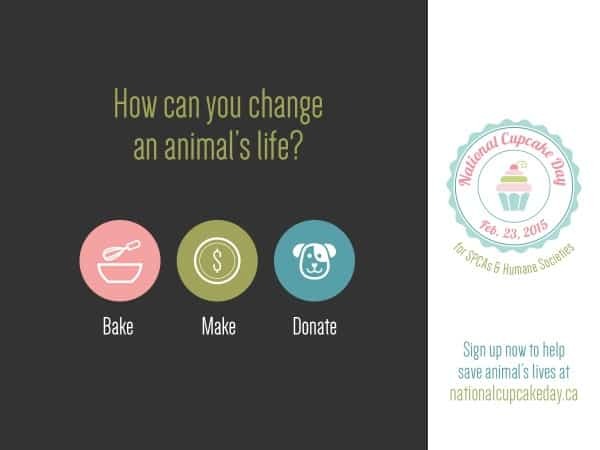 National Cupcake Day is the first-ever national Canadian fundraiser for animal welfare. The money raised supports SPCAs and Humane Societies across the country. The campaign has been run successfully in other countries around the world including Australia, United Kingdom and New Zealand. Last year, the initiative raised almost $500,000 in Canada! Pretty amazing stuff right? With the National Cupcake Day campaign, you can help do all those wonderful things for precious animals with cupcakes. Sounds like a win-win to me. Let’s all bake up some scrumptious cupcakes and help animals in need! Are you with me? Register for FREE online to become a Cupcake Day Host. 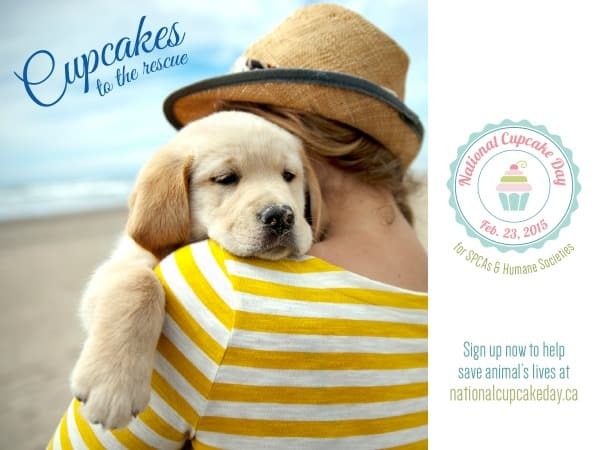 Plan and promote your National Cupcake Day Party and either bake or buy cupcakes for your friends, family and co-workers in exchange for donations to the Humane Society or SPCA of their choice. You can sign up on your own or get together with some friends and do it as a team effort. You’ll be able to pick which society your fundraising dollars will go towards when you register. Last year, I picked the Nova Scotia SPCA, but since I’m in Ontario this year, I’ll support our local SPCA here. After you register, you’ll be given access to an online personal fundraising page called your Online Bakery. Plus, you’ll receive a Host Kit in the mail with a fundraising guide and all the materials you’ll need to promote your own National Cupcake Day Party and collect donations for the animals in need. The Online Bakery is great. It gives you templates, social media tools and even messaging on what to post to tell people you know about the event. National Cupcake Day is February 23, 2015. You can hold your party on that day or whatever day is most convenient for you. Invite everyone you know – your friends, family members, co-workers, neighbours, etc to make a donation via your Online Bakery. Then host your Cupcake Day Party wherever is the most easiest and convenient for you. Make it elaborate or simple. It’s totally up to you how you want to set it up. Another option is a virtual Cupcake Day party if your friends and family are spread out over far distances. Instead of delivering the cupcakes, email the donors a cupcake e-card. It’s still supporting the cause. Alternatively, you can choose to not have a physical party and just deliver the cupcakes to your donors. However you want to set it up is fine. The end goal is helping the animals with the added perk of a sweet treat! Last year the average amount raised was approximately $300 per person! Set a goal for yourself and work towards achieving it. There is no minimum fundraising goal so its up to you to decide on your target goal. Learn more about how to submit the money you raised on this helpful post. Let’s work together to beat last year’s total of $500,000 and raise even more money this year. We can do it! It will be sweet knowing with each bite of a decadent cupcake will be helping an animal have a chance for a better life. If my Grandma June were still with us today, I know she would supporting National Cupcake Day and more than likely making a batch of her Chocolate Zucchini Cupcakes. Head on over to National Cupcake Day and register now. I did yesterday – check out my Online Bakery! Need some inspiration on what to bake? I’ve rounded up 15 luscious cupcake recipes you can use for your event. I have a pretty good idea of what I plan to bake – Pineapple Upside Down Cupcakes! I bought all the ingredients last week to test out the recipe. If it’s a good one, I’ll be giving my donors some to enjoy. 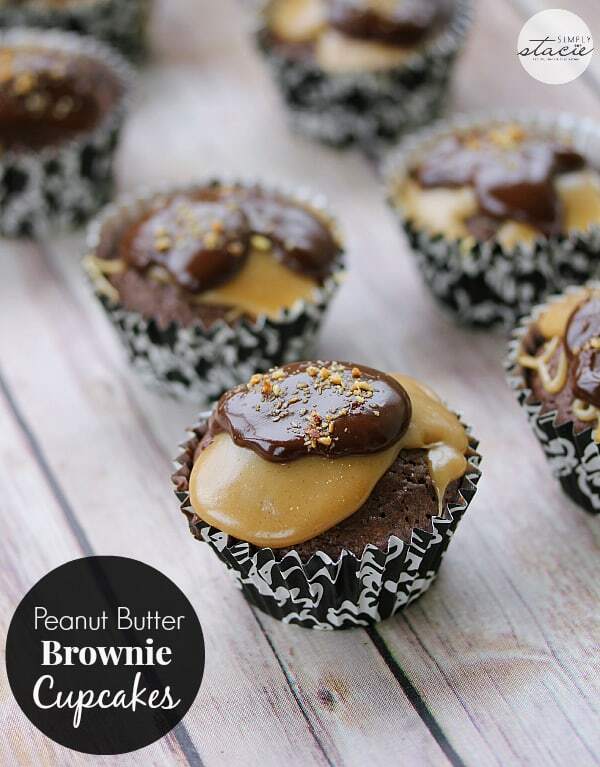 Last year I made these Peanut Butter Brownie Cupcakes – yum! What kind of cupcake will you be baking up for your Cupcake party? It is a great idea and I support and volunteer at NorthTorontoCatRescue.com in Markham, Ontario which rescues cats from York Region and Toronto. Last year one of their volunteers baked cupcakes to raise money for the NTCR shelter as it is run 100% by volunteers and exists through adoption fees and donations. If any of your readers would like to volunteer/adopt/donate they can visit their website or their Facebook page for info. P.S. 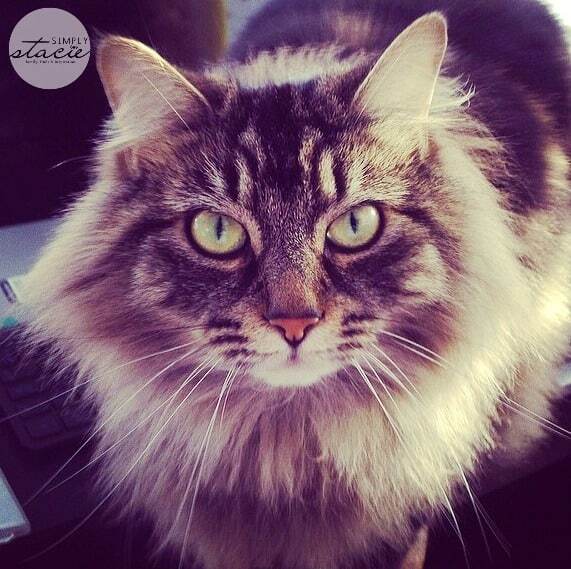 Your fur baby Misty is beautiful! What a great idea! I wonder if the US has something similar? Is this day just for Canada? It’s pretty cool that the average amount raised was $300 per person! That could add up quickly. Thank you for including my Chocolate Cupcakes with Strawberry Cream Cheese Frosting 🙂 Happy baking! Great idea. 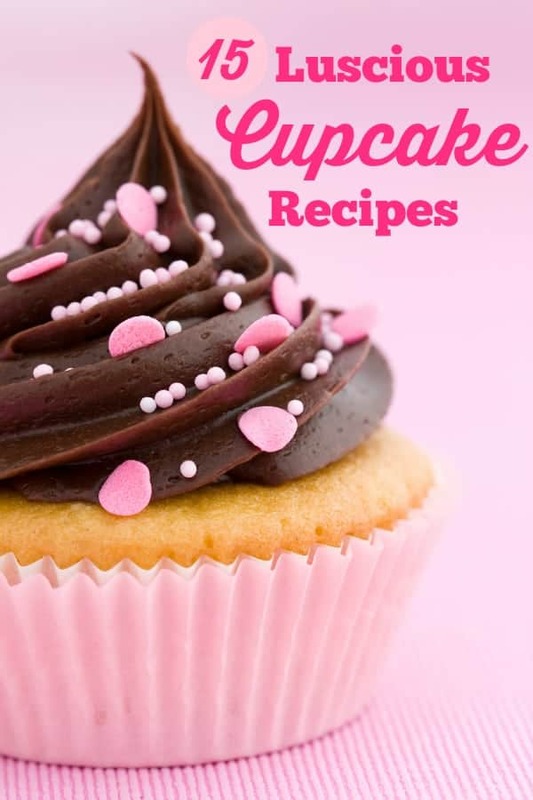 And good looking cupcake recipes. Love the cause and way they are going about promoting it. Animals are so important, and it is important for us to help. Thank you for sharing. You can never go wrong in helping animals. Many years ago I got the first Spca auction going in my town, they now have it every year. I do not volunteer any more as twins and live made it hard. A great idea for a great cause! !